Mining Express provide no information on their website about who owns or runs the business. The Mining Express website domain (“miningexpress.com”) was first registered in January, 2004. The domain registration details were last updated in August, 2017, suggesting this is when the current anonymous owner(s) took possession of it. Update 13th May 2018 – Mining Express promotional material claims Kaze Fuziyama is the owner of Mining Express. Fuziyama (right) is based out of Rio de Janeiro in Brazil. Read on for a full review of the Mining Express MLM opportunity. Mining Express market a $100 “Beginner” investment plan that promises an advertised “fixed daily bonus”. After the first a month an additional $10 fee is also charged. No details about the bonus or how much is paid out are provided. Mining Express affiliates invest funds on the promise of a “fixed daily bonus”. The exact percentage paid out daily to Mining Express affiliates is not provided. Mining Express affiliates are paid to recruit new affiliates who invest. Mining Express pay residual commissions via a binary compensation structure. Mining Express affiliates are paid a 5% commission on new investment volume on their weaker binary side. Note that Mining Express do not clarify whether residual binary commissions are paid daily, weekly or monthly. Mining Express pay a Matching Bonus on recruitment and residual binary commissions and mining contract ROI earnings. 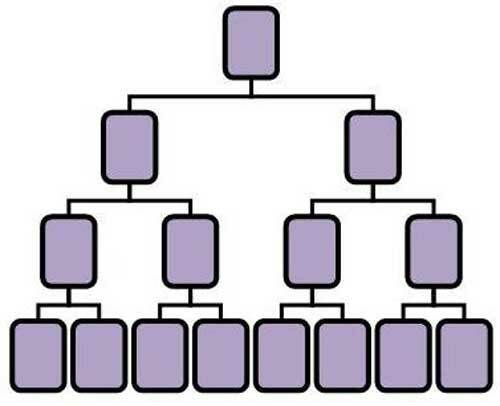 The Matching Bonus for both recruitment and residual binary commissions are capped down five unilevel team levels. The Mining Express compensation plan suggests that each affiliate must pay a $10 monthly fee. Mining Express take this fee and use it to pay a monthly commissions. The Membership Fee Commission is paid out using the same unilevel compensation structure as the Matching Bonus. Mining Express affiliate membership is tied to a Standard ($500), Professional ($1200) or Master ($20,000) mining contract investment. All Mining Express affiliates must also pay a $10 monthly fee. Despite claiming to generate ROI revenue through altcoin mining contracts, Mining Express offer no evidence of any external ROI revenue generation. 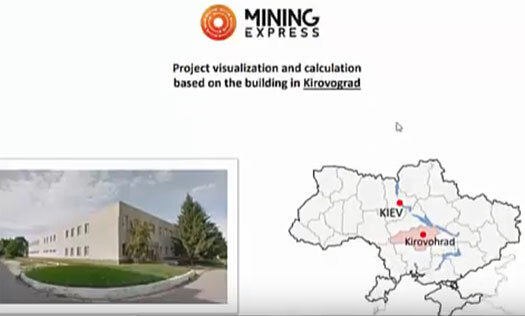 In a Portuguese Mining Express presentation doing the rounds, the company claims to have a mining facility in Kropyvnytskyi, Ukraine (formerly known as Kirovohrad). The facility however is represented by an illustration, followed by several stock images used to represent Mining Express offices. This obviously casts doubt on whether the claimed mining facility even exists. Also it’s worth noting the use of Kirovohrad/Kirovograd. This is the former name of Kropyvnytskyi, suggesting whoever put together the presentation has geographical familiarity with Ukraine. That said most of the Mining Express marketing material I came across was in Portuguese. In any event, absent of proof of ROI revenue, the only verifiable source of revenue entering Mining Express is new affiliate investment. Using newly invested funds to pay existing Mining Express affiliates a “fixed daily bonus” makes Mining Express a Ponzi scheme. If proof of Mining Express’ mining facilities and use of externally generated funds to pay affiliates surfaced, the company provides no evidence it has registered with securities regulators in any jurisdiction it operates in. Thus at the very least, Mining Express is an illegal unregistered securities offering in any country where securities are regulated. That explains the Portuguese promotion. Japanese name guy in Brazil pretending to be in Ukraine. GG.